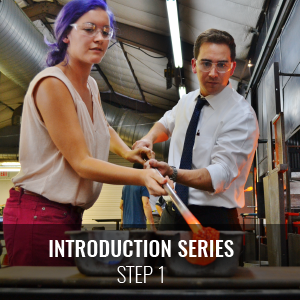 The NEW Hot Shop is now Open! Gain the skills needed to craft, shape, color, and design various artistic projects including bowls, vases, cylinders, and paperweights. 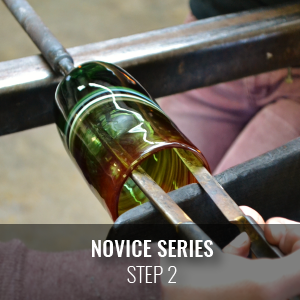 You will begin by taking the Introduction Series classes and then take courses from our Novice Series classes. 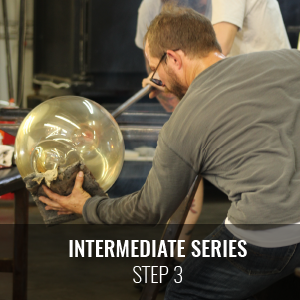 After taking a minimum of two Novice classes, you will move on to more complex techniques taught in our Intermediate Series classes. 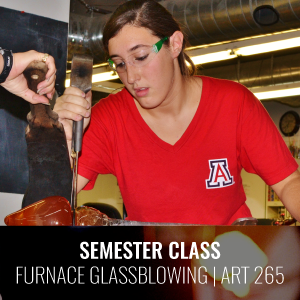 Must be 16+ years old to take glassblowing studio classes. 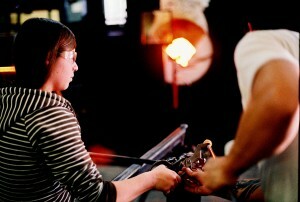 Students receive personalized attention and can work at their own pace. 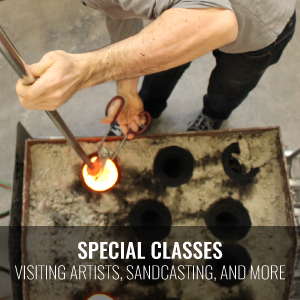 Our instructors are adept at customizing lessons to best serve the student. Students are working and learning the entire class time, there is no waiting for work time. The two on one format provides the opportunity for students to learn how to assist and help each other. Skills such as making a punty, shielding, and opening doors are introduced. Classes can be scheduled during times that best fit the students schedule, whether that means during the day, evening, or weekends. 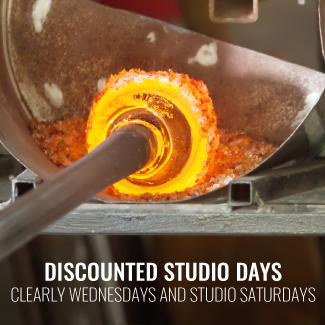 Our Hot Shop features a 400 pound Hub furnace, four glory holes of varying sizes, three large kilns, a roll up kiln, a Paragon color box, and three work benches. This studio is available for rental.